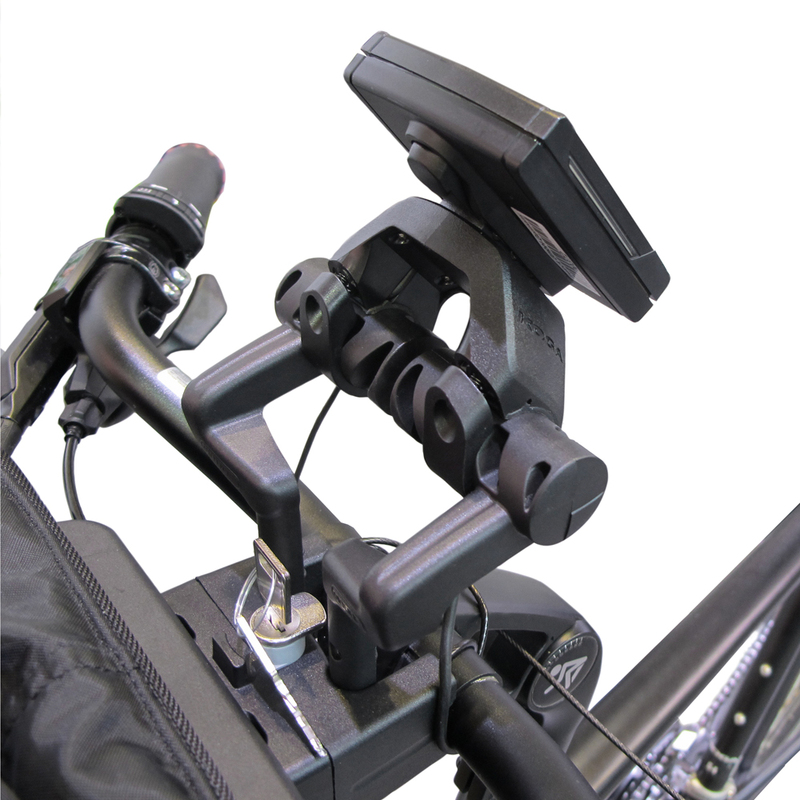 The multifunctional two part mounting support creates additional space on the handlebar, e.g. for light, navigation device or e-bike display. 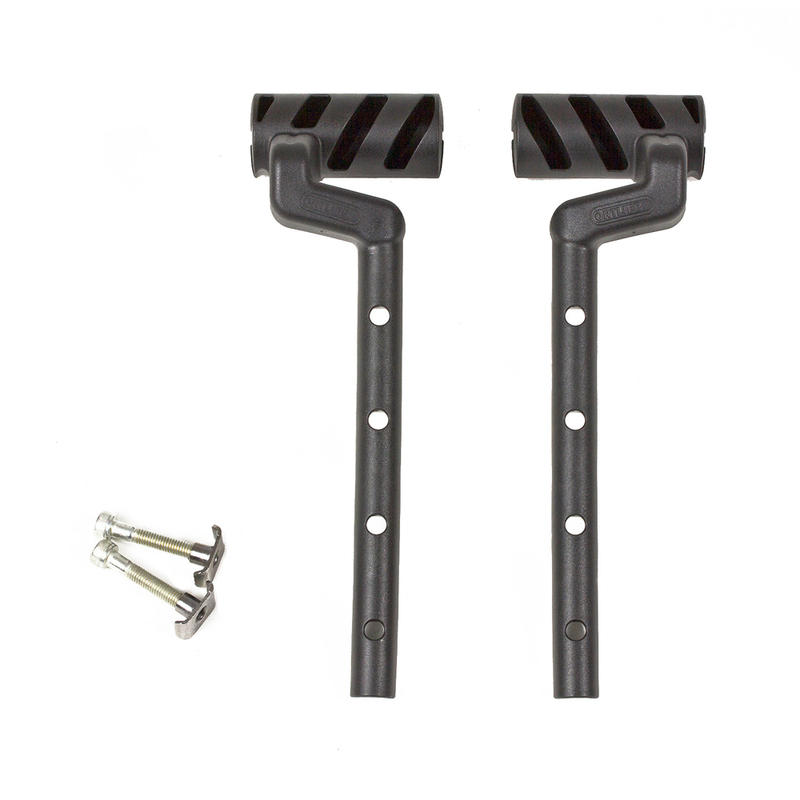 The set consists of a left and right support; it can be mounted as a pair or individually. The supports are adjustable in height and allow simultaneous use of a battery light and an Ultimate handlebar bag. Attachment solution for Ultimate Six, Barista und Velo-Pocket in combination with light, e-bike displays, bike computer etc.